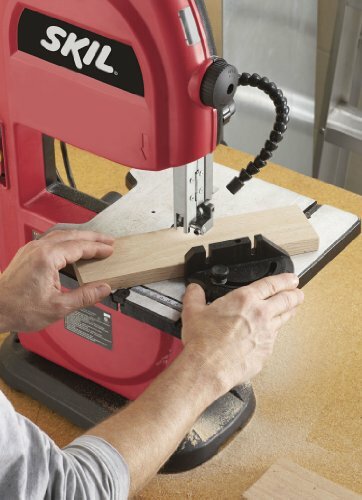 The bandsaw is a very innovative and helpful tool to have in the garage or in the warehouse. Bandsaws are almost a necessity for woodworkers because of its versatility. These tools are mainly used to make curving cuts and for re-sawing. This is something that is needed quite frequently while making furniture, crafts and other goods. Like all tools today there are so many brands out there to chose from that it can become tiresome, stressful and down right boring to chose the right one. Picking the best bandsaw just became easier! The main goal for us is to give you bandsaw reviews for the latest and best band saws on the market in order to help you chose the best tool for the money…without being too awfully tiresome, stressful or boring for that matter. Throughout My Band Saw Reviews you will find advantages of certain models over others and disadvantages as well. We have set up this easy 2018 Band Saw Comparison Table which will help make your choice easier. Hopefully by the time you leave this site you will have a good understanding of which tool may be right for you. 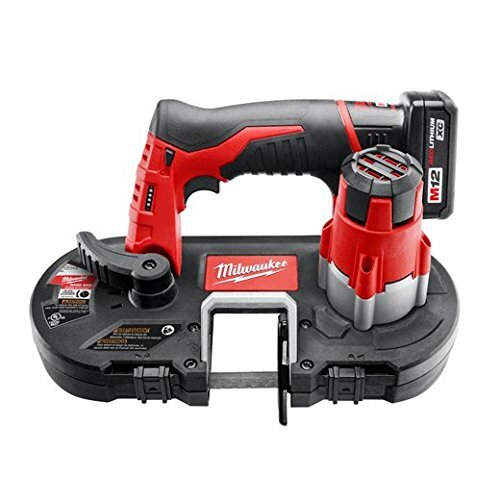 Powerful Motor: Cuts 3/4" EMT in 3 seconds, up to 150 cuts per charge with the XC battery; Blade Length: 27" x ½" x .020"
To start off, there are three main types of these tools in which you can purchase, bench-top, stand mounted, and floor standing. Each one of these can have their own advantages and disadvantages that make it the best in it’s class. It all depends on how much usage the tool will have, size of pieces you will be working with, your budget, and of course your liking. This is a summary of advantages and disadvantages of each type of bandsaw that you we will discuss. Bench-top band saws are for individuals that will need portability. Most bench-top band saws have anywhere from 8-12″ wheels depending on the brand you chose. The benchtop bandsaw is also the least expensive out of all the other saws which will be mentioned. 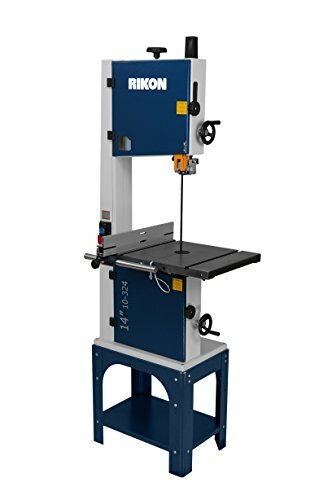 Benchtop bandsaws are arguably the best band saw to chose because of portability and weight, however it likely depends on the work you will be doing. Benchtop saws can be found here. Stand mounted saws are typically sold in a 14″ diameter configuration. Usually stand mounted tools are mounted on cast iron stands for safety or on top of metal cabinets. The stand mounted band saw is the medium price range band saw on the market. Cons: Limited cut capacity, small motor so limited on board thickness. This is the biggest type of bandsaw that you can purchase typically coming with a 14-18″ diameter blade. Floor-standing band saws have the largest motors of the three types. These are the preferred type to professionals due to the rugged frame construction and versatility. The throat size is easily explained as the cutting width of the saw. For example, if there is a 17″ tool, that saw will have a cutting width of 17 inches. Some higher priced models of band saws have the option to switch out blades for narrower cutting width. It should be carefully noted that the narrower the blade, the less life you will get out of a blade. This is the amount of power that the tool will have. It is recommended as a general rule of thumb to get a 2HP motor on a bandsaw to prevent binding. For lighter usage, a 1HP motor may suffice. You will also get a longer life out of a larger motor running at a lower work load than a smaller motor running at a full work load. 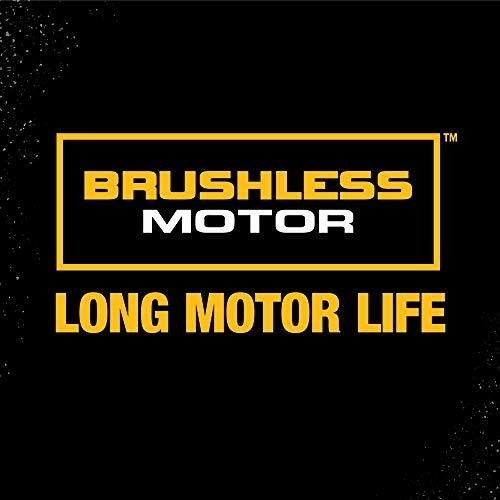 A smaller motor may burn up quickly if ran under a heavy work load for a considerable amount of time. Whether you are looking for a band saw to use everyday or to use once a month, all of these factors come into play. You also will want to factor in warranty and manufacturer reputation when choosing the right tool for the money. Whether cutting wood, metal, meat, or plastic each band saw generally works the same. The “band” in its name comes from the formation of its blade. A band saw uses a continuous band of metal with teeth that rides along two or three wheels on the same rotating plane. Blades can consist of fine teeth cuts and plain scalloped knife-edges that are usually made out of high quality steel. Saws themselves are often powered by an electric motor but can be powered from anything such as water (in some wood factories) to steam (in some industrial applications) and even by animals. 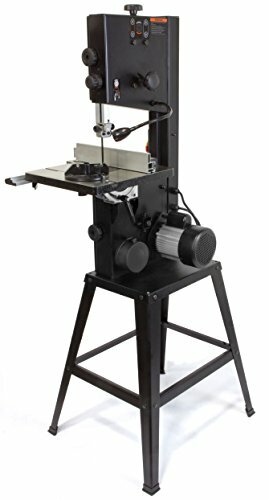 We have provided band saw reviews for a wide variety of band saws ranging from units you can use in your home garage for simple woodwork, to automated industrial saws that cut steel for automotive parts. Band saws come with different blade feed features. Gravity fed band saws use a blade that falls against hydraulic cylinders. In our review gravity fed band saws work well for small saws. During our band saw reviews, the saw we found fit for heavier production use was a hydraulic feed saw in which the blade is pushed by the positive pressure of a hydraulic piston. Larger diameter blades are commonly used for cutting wood and timber. Thinner blades with a larger number of small teeth are typical in metal-cutting applications. In any case we give band saw ratings based on a saws ability to go above and beyond helping you complete your task. For instance in culinary applications, band saws with the best band saw ratings featured components that were easy to clean. Some of the blades that received our highest band saw ratings were even cryogenically frozen to provide superior durability when cutting through metal or hard woods. Reviews of blades made of better materials saw that when cutting irregular or curved shapes, most would hold up much longer. Higher-end band saws include automated cleaning mechanisms such as a brush to remove chips as the blade exits the material you are cutting. Like any tool, a good band saw will increase your productivity while allowing you to create high quality products. There are scores of manufacturers and models that we have given band saw reviews to. By working with these power tools we continuously carve out information about the best band saws on the market. Cut to the core of your perfect band saw by searching our site to find the best tool for your job. You can even read user-generated band saw reviews and leave your own band saw reviews and ratings.